DataMatrix is a two-dimensional matrix symbology made up of square modules arranged in a square or rectangle shaped pattern. This barcode is capable of packing large amount of data and has the capability of recovering the original data encoded even when it is partially damaged through an error correction technique. 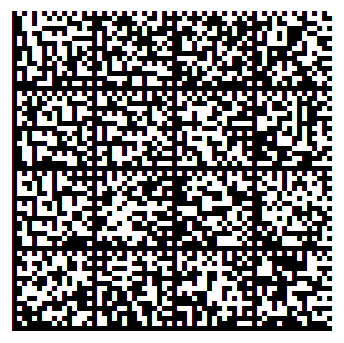 The DataMatrix barcode is composed of solid adjacent patterns known as the "finder patterns" in L-shape for locating and orienting the symbol. This is a professional True Type (TTF) barcode font package that is used to create a DataMatrix barcode by selecting a font in the text editor. The package includes a standalone encoder, a .Net Dynamic Link Library (for application integration) and a true type font for creating a DataMatrix barcode that strictly adheres to the industry specifications ISO/IEC 16022:2006 (ECC200). The DataMatrix barcode uses the Reed-Solomon error correction technique for data recovery. This allows a partially-damaged barcode to be read and decoded. A partially-damaged barcode could be the result of a partially-torn printed barcode. The original data encoded in the barcode could be retrieved by encoding additional codewords in the barcode for redundancy and error correction. The DataMatrix Barcode is able to pack large amount of data using various encodation methods. Each encodation method is optimized for a specific type of data. For example, the C40 method is optimized for upper case alphanumeric characters. The list below shows the different encodation methods specified in the DataMatrix specification. The DataMatrix barcode supports 24 square symbols and 6 rectangular symbols. The sizes of the different symbols are shown below. The diagrams below illustrate the 12 x 12, 32 x 32 and 64 x 64 DataMatrix symbols. The diagram below illustrates an 8 x 18 Rectangular DataMatrix barcode. The DataMatrix barcode supports the following prefixes in the symbol. A prefix is used to adhere to barcode industry standards such as one authorized by AIM International/GS1 or for abbreviating a header to the symbol. The following sections detail the different configurable parameters of the DataMatrix barcode using ConnectCode?s package. If you are new to this barcode, it is recommended that you use the default settings mentioned below. ConnectCode?s DataMamatrix Encoder or .Net DLL automatically applies the ECC200 error correction technique on all DataMatrix barcodes generated without requiring the specification of any parameters. ConnectCode?s Encoder automatically scans through the data and detects the most optimized encodation method. On top of that, it also switches among the different methods if one method is unable to fully encode the data. No parameters are required for the specification of the encodation methods. A Square or Rectangle DataMatrix symbol can be selected through the Encoder or the .Net DLL. The prefix for the DataMatrix symbol can be selected through the Encoder or the .Net DLL. 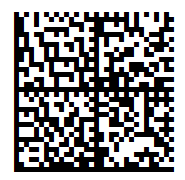 The following is the description of the DataMatrix Barcode Font used by the Encoder or .Net DLL. 1. You may see spaces (though rare) between multiple Rows when you use the DataMatrix Code barcode fonts in certain font sizes. The DataMatrix barcodes at these sizes should be avoided. The spaces can be easily removed by increasing or decreasing the font size by 1 point. 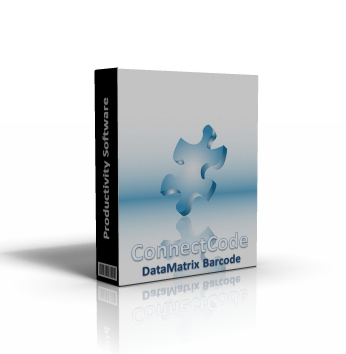 ConnectCode's DataMatrix barcode font package comes bundled with a Font Encoder that allows you to encode the barcode quickly and easily. This is useful if you like to encode a single barcode to be pasted on your brochure or product items. The Encoder supports all parameters as described in the sections above. The Shape and Prefix parameters can be easily specified through the user interfaces shown below. The Font Name and Font Size in the "Output" section can be changed after the DataMatrix barcode is created. This allows the height and size of the barcode to be changed and catered to your needs. The "Show As Text" option allows you to see the text output of the barcode in a normal text font. The "Copy Barcode" button allows the barcode to be copied and pasted to other applications easily. 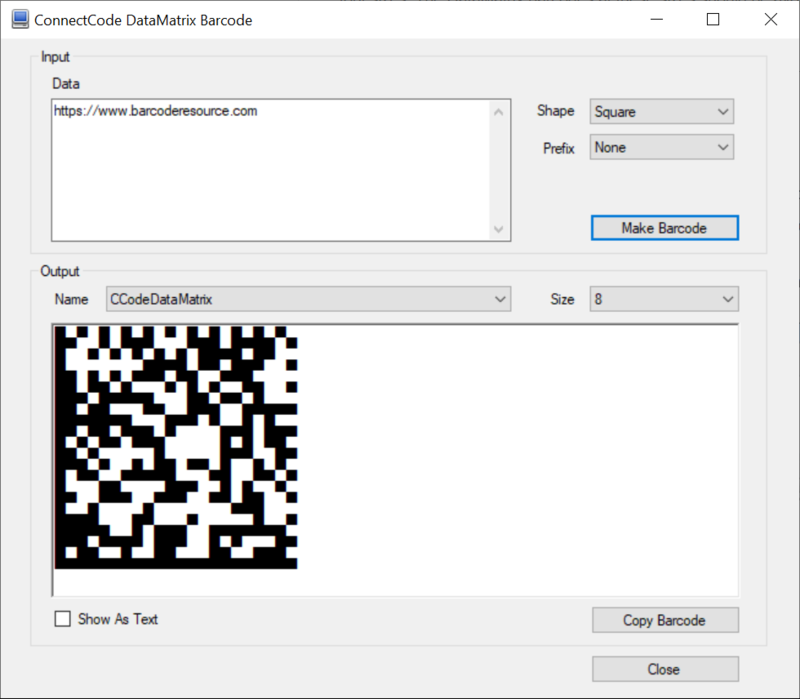 A .Net Barcode SDK is also bundled in the ConnectCode DataMatrix Barcode Font package. This SDK can be bundled in your applications if you purchase the necessary distribution licenses. This is the constructor for the DataMatrix barcode. It is used for initializing the DataMatrix barcode. data : The data input string to be encoded as a barcode. shape : 0 for Square and 1 for Rectangle prefix : DataMatrix prefix. 0 for None, 1 for GS1 FNC1, 2 for 05 Macro, 3 for 06 Macro and 4 for Reader Programming. 4. Requirements - .Net 2.0 and onwards, Visual Studio 2005, 2008, 2010, 2012, 2015 and onwards. On your system, go to "C:\Program Files (x86)\ConnectCodeDataMatrixTrial" or the location where the software is installed.